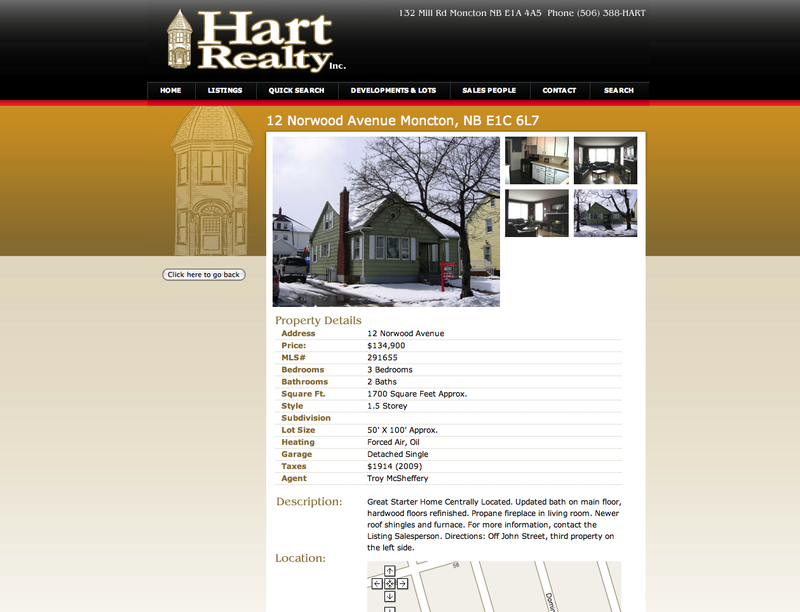 Hart Realty is a real estate company in Moncton New Brunswick. The site is powered is a full featured site that allows the client to easliy manage all their listings and agents. The site offers many features including a property search database for the clients current listings. This site is now offline.